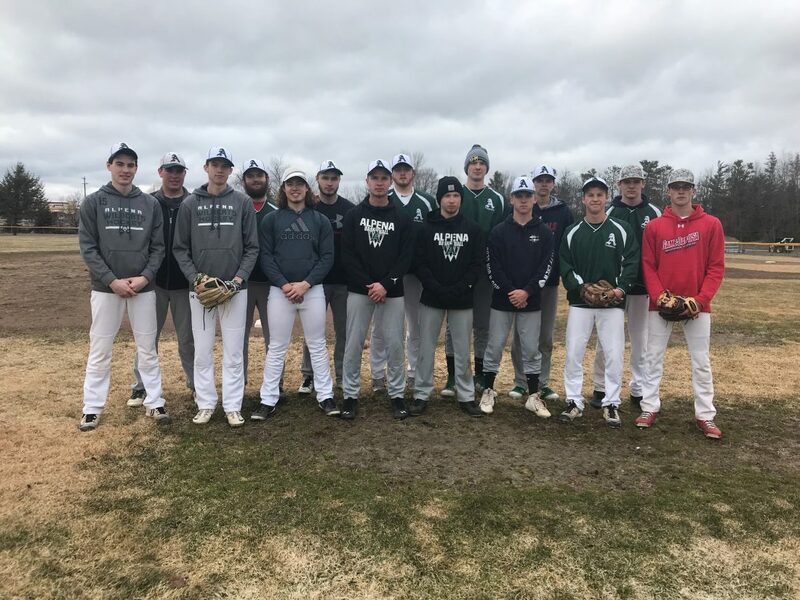 The 2019 Alpena High baseball team pictured left to right is: Anthony Berg, Austin Ritter, Owen Limback, Bruz Copping, Hunter Canute, Colin Donajkowski, Clay Donajkowski, Jordan Schultz, Aidan Goike, Chris DeRocher, Colby Plowman, Kyle VanDusen, Riley Arlt and Keegan Spomer. 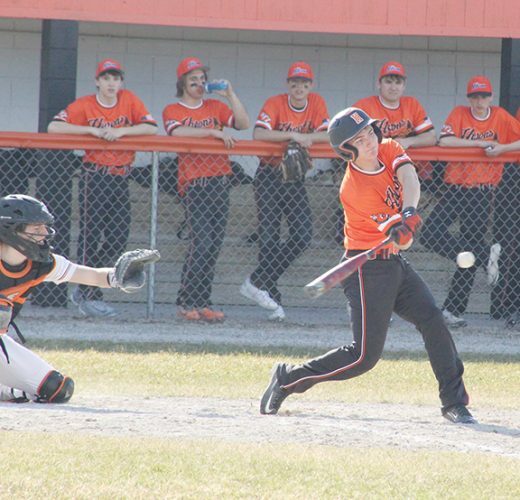 Two years ago the Alpena High baseball team snapped a seven-year district championship drought with a group that featured a handful of young and inexperienced starters. The Wildcats were ahead of schedule and looked destined to be one of the top teams in the region for the next few years. Last season, Alpena fell short of a district title and in their minds, the Wildcats felt they may have underachieved. With the 2019 season underway, the Wildcats still have many of the same players that hoisted the district championship two years ago. Alpena is hoping its experience and leadership can lead it back to the top of the Big North Conference and another postseason run. All that’s affecting the Wildcats so far is the weather as they’re in the middle of an annual battle with the elements. One of the positives is this team is made up of athletes from the Alpena hockey and boys basketball program, which both enjoyed winning seasons so this group is familiar with winning and knows what it takes to be successful. Alpena’s roster is made up of all upperclassmen and 11 of the 15 players on the team are seniors. Senior Bruz Copping will be among the players that Alpena relies heavily on. Copping, a three-year varsity starter will be near the top of the pitching rotation and hit in the middle of the batting order. Copping will also spend time at shortstop when he’s not on the bump. Senior Aidan Goike will also be back for his third season on the varsity and will once again spend much of his time patrolling center field, while being used on the mound. Goike will play alongside seniors Colby Plowman, Alex Cosbitt and Clay Donajkowski in the outfield. Senior Chris DeRocher will play first base for the third straight season and bat in the middle of the lineup. Kyle VanDusen will be entrenched at second base and seniors Colin Donajkowski, Austin Ritter and Anthony Berg will each spend time behind the plate catching. Senior Owen Limback is nursing an injury to begin the season, but once healthy he will provide the Wildcats with even more depth with his ability to play all over the diamond. The junior class is made up of Keegan Spomer, Jordan Schultz, Riley Arlt and Hunter Canute. Spomer will also see plenty of time on the mound and when he’s not there he will fill in at shortstop when Copping is pitching. 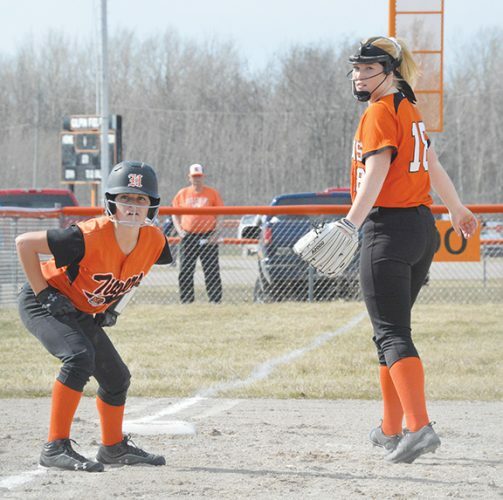 Hunter Canute will play infield and Schultz and Arlt are versatile players who will be able to pitch and play multiple positions in the infield and outfield.